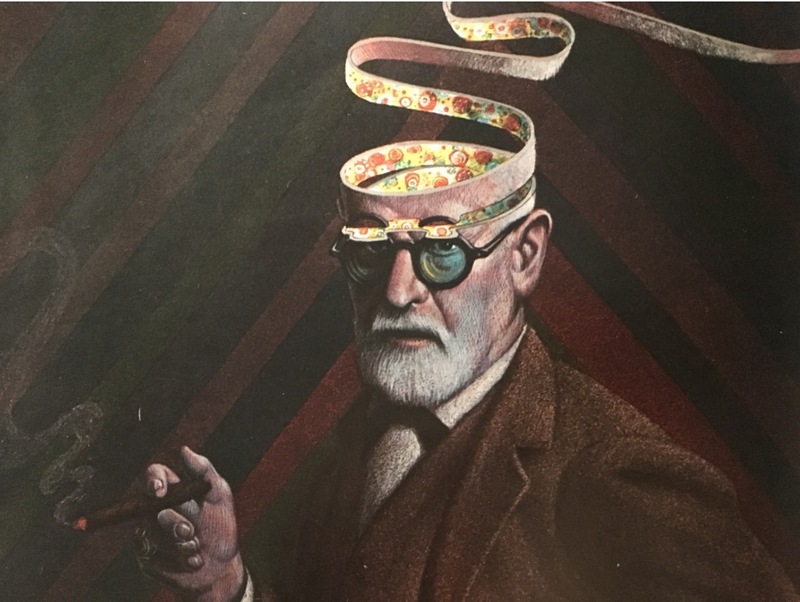 Join renowned psychoanalyst Dr. Steven Reisner in an exploration of the early occult writings of Dr. Sigmund Freud with Psychoanalysis, Art & the Occult series curator Dr. Vanessa Sinclair, as she responds to Dr. Reisner’s presentation and joins him in a discussion. In 1953, psychoanalyst and anthropologist George Devereux published a collection of works from various psychoanalysts entitled Psychoanalysis and the Occult, which explored the intersection between the practice of psychoanalysis and occult phenomena, including contributions from Freud himself on Premonitions and Chance, Psychoanalysis and Telepathy, and The Occult Significance of Dreams. Additionally, Freud’s paper Notes on the Unconscious was published in the journal of the Society for Psychical Research in 1912. Since that time, however, the majority of psychoanalysts willing to traverse occult terrain have worked within a Jungian framework, as the topic itself was central to the split between Freud and Jung, with the former insisting the burgeoning field of psychoanalysis become scientific and not spiritualist. However, Freud maintained an interest in occult phenomena longer than many of his followers would like to believe; tonight’s talk will explore this aspect of his work. This event is part of a series exploring the intersection, integration and application of psychoanalytic theory, the arts, and the occult, curated by psychoanalyst, Dr. Vanessa Sinclair. Throughout the series, Dr. Sinclair hosts a variety of psychoanalysts, psychologists, artists, writers, and occultists from a range of backgrounds and theoretical orientations. Presenters discuss their work, personal experience and areas of research interest, opening up a dialogue between practitioners in fields of study that rarely have a chance to engage with one another yet often operate in similar and complementary ways. Steven Reisner, Ph.D. is a Psychological Ethics Advisor to Physicians for Human Rights and was a co-author onExperiments in Torture. A founding member of the Coalition for an Ethical Psychology, Dr. Reisner has also taught psychoanalytic theory for over a decade at on the primary faculty of the International Trauma Studies program at New York University and is an Adjunct Professor in the Program in Clinical Psychology at the Columbia University Teachers College and at the New York University School of Medicine. Vanessa Sinclair, Psy.D. is a psychoanalyst and clinical psychologist in private practice in New York City. She is a founding member of Das Unbehagen: A Free Association for Psychoanalysis, which facilitates psychoanalytic lectures, classes and events in and around New York City, and contributes to various publications including The Fenris Wolf (TRAPART), DIVISION/Review: A Quarterly Psychoanalytic Forum, ERIS Magazine, and the Brooklyn Rail.